5 high-shine shades for glossy reflective metallics. .22 Hi-Lilac—neutralising yellow, leaving a balanced iridescent hue. Like all of L'Oréal's Majirel range, these colours will last and leave hair in great shape and superb condition thanks to the Ionène G™ and Incell™ in the Majirel formulation. For best results, develop with the appropriate strength of L'Oréal Professionnel Oxydant. Each shade comes in a 50 ml tube. Buy any 11 Majirel, Majicontrast or Majirouge colours and pay for only 10, taking the average price per tube down as low as an amazing £6.35!! 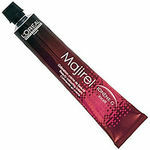 Stabilised cream peroxide that's specially formulated to work with L'Oréal permanent colour like Majirel or Majicontrast. Available in 1-litre bottles of 6% (20 vol), 9% (30 vol), or 12% (40 vol) solution. Fun and functional tint bowls with a non-slip rubber base. Japanese Tinting Brush chemical resistant.